The 26-year-old singer faced backlash after she tweeted about rapper 21 Savage during Super Bowl LIII on Sunday, which led to the deactivation of her Twitter account. “So far 21 savage memes have been my favorite part of the Super Bowl,” she said. Some Twitter users thought that the “Tell Me You Love Me” singer was throwing shade at the rapper, who was arrested by U.S. immigration officials on Sunday for failing to renew his U.S. visa, which struck up the controversy. Following her clap back, the “Camp Rock” alum’s Twitter was taken down. Demi took to her Instagram Story to explain her reasoning for deleting her account. She reposted the meme relating to 21 Savage and some of the hurtful comments that were made after her joke was misinterpreted. “Go shoot some more heroine Demi,” one Twitter user said. 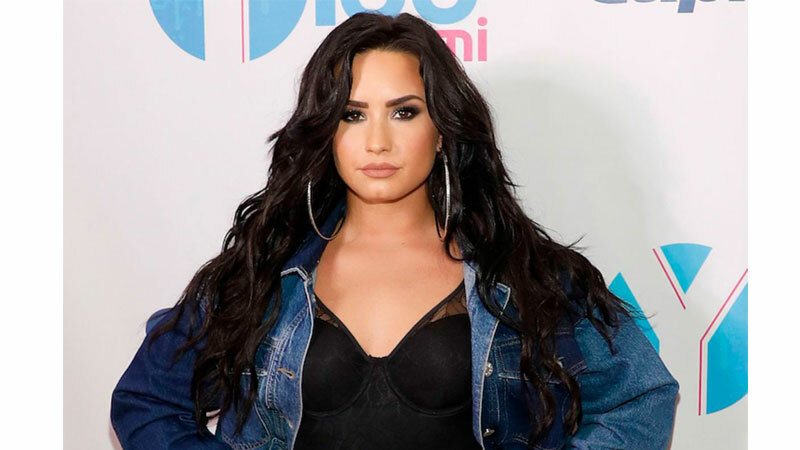 “She’s a hypocrite let’s pull out the heroin memes and see if this b**ch doesn’t get emotional,” said another referring to the singer’s alleged overdose in July of 2018. The “Fall In Line” Grammy nominee also posted a statement clarifying her intentions behind the tweet on her Instagram Story.